This photo evokes so many poignant emotions. We tend to romanticize rail travel back in the days when it was a primary mode of transportation. Not all of it was glamorous, but when you see people dining with china and real silverware through a train car window nostalgia has a way of grabbing you. We instantly want to be those folks who had the opportunity to experience rail travel at its pinnacle. 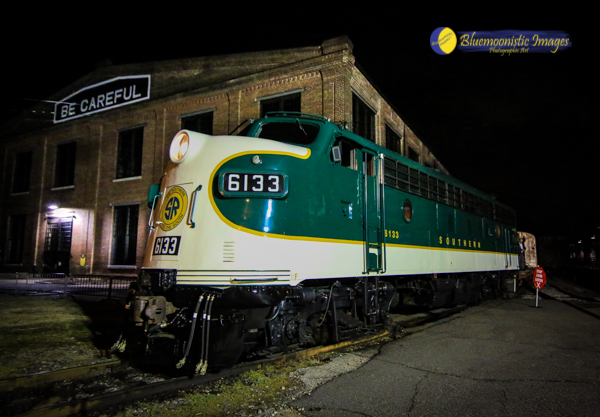 The NC Transportation Museum offered the Bluemoonistic Team this opportunity to do just that! 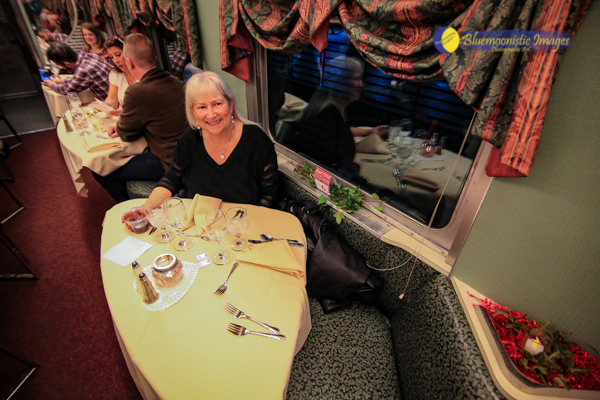 Their "Wine & Dine on the Rails" event was billed as a Valentine special and we couldn't resist the chance to get on board for a romantic adventure. We were seated in the Atlantic Coast Line "Moultrie" dining car and the tables were set up beautifully as we got on board after our special cocktail hour inside the museum room with the Blackbeard Exhibit. The room was set up with decorated tables and we were served appetizers along with wine and beer and the mingling began! It was a treat to meet the museum volunteers who offer their services to keep things running smoothly - one of which owns a home in Ashe County (a nice surprise)! Our table for two offered us seats by the window to watch our journey. Our conductor told us we were going north to Baltimore and south to Atlanta! Even though we only went around the 60 acre museum campus, it was fun to imagine! There was something about the clickity-clack of the wheels on the rails and the gentle sway of the cars that added to the ambience regardless of the destination. Since we love riding trains, the experience alone was pure delight, but we had not anticipated the gourmet meal that was served. Four course meals are not our style but we were really glad we had skipped lunch and came hungry. We began with a Maryland style crab cake with Cajun Remoulade - so divine that we could have stopped there and been happy. However, we were just getting started. Then came Caesar salad and the main course consisted of not one but two entrees -- Chicken Marsala with cremini mushrooms and boneless Chuck Roast with port demi-glace along with Yukon golden potatoes and sauteed brussel sprouts with scallions & bacon! Some of our fellow diners confessed that they came for the food alone! 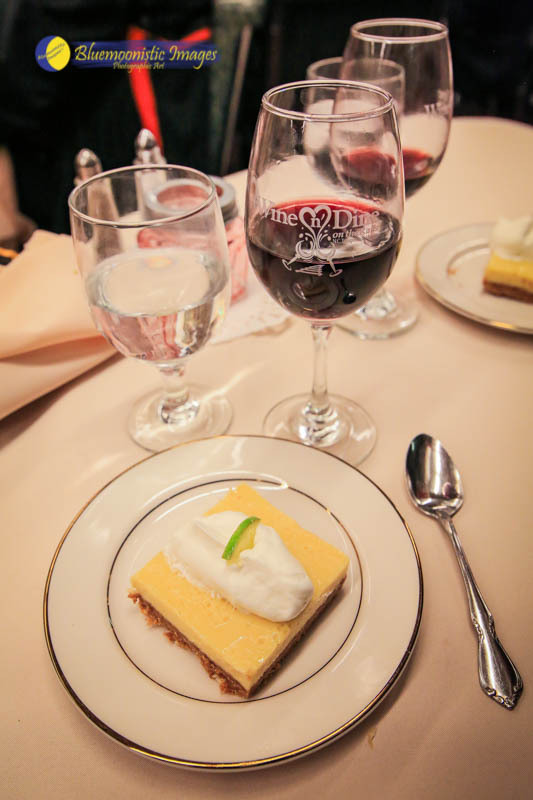 The perfect end to the meal was a Key Lime Tartlet! When the Chef appeared in our car he received a huge round of applause! Riding the rails during a two hour elegant meal just was not long enough for these two train lovers. As we exited our car through the historically restored "Doris Duke" car, we would have loved nothing better than to enter the private bedroom, close the door and spend the night on the train. Even though not possible, this beautifully restored train car was another glimpse into the past. As we walked off the train on to the platform, the lights and sound from the the Southern 6133 locomotive sitting on the tracks once again gave us that sentimental feeling of days gone by. The evening ended in true railroad lover style and felt as if we had arrived at our destination.